School will close for Easter Holidays on Friday, 12th April 2019 and re-open at 8.50am on Monday, 29th April 2019. Wishing you all a very happy Easter – Beannachtaí na Cásca oraibh go léir. Easter Bonnet Parade Fundraiser – All children are invited to create an Easter Bonnet which they can wear to school on Friday, 12th April 2019. Each class will have a winner of the most creative bonnet and a prize of an Easter Egg will be given to the winner. A donation of €2 per child would be appreciated and as per previous years, all donations collected will go towards helping to support Ms. O’Flynn’s aunt – Sister Mary Lucey in her wonderful work in Zambia with the Missions. Rang a Ceathair will hold their annual ‘Bring and Buy’ day after the Easter holidays. All funds raised will go towards the charities nominated by fourth class – Our Lady’s Children’s Hospital, Crumlin, Jack and Friends Support Centre, Bandon (where support is provided to children with autism and to their parents) and Good Shepherd, Cork, where funds raised will be used to purchase back to school stationery and supplies for the circa 245 homeless minors associated with the Good Shepherd Charity in the Cork area. To begin the fundraiser, we are going to hold a non-uniform day on Friday next, April 5th. Each pupil participating is kindly asked to donate €2. Go raibh míle maith agaibh go léir, Ms. L. Hallissey agus na daltaí ó Rang a Ceathair. La Fhéile Pádraig Sona Duit! Wishing you all a very happy and fun St. Patrick’s Day – School will be closed on the 18th March and re-open as usual on the 19th. Fundraiser: Our PA has organised an ’80’s Disco’ at the White Lady Hotel on Saturday, 2nd March from 9pm to 12.30am. Tickets are on sale in the office and also from members of the PA at €20 each. An arrival drink and raffle ticket are included in the price and the arrival drink is very kindly sponsored by ‘Black’s Brewery’. Mid-Term: School will be closed for mid term (21st & 22nd February as per our calendar) and will re-open usual time on Monday, 25th February. We would like to wish you all a very happy and healthy mid-term break. In Service Day – Wednesday, 20th February. The school will be closed all day as teachers will attend an in-service course. Christmas Holidays – Please note that we will close on 21st December for our Christmas break. School will re-open at usual time on Monday, 7th January 2019. Nollaig Shona faoi mhaise daoibh go léir! Coffee Morning at Jo’s Café – We are absolutely delighted to tell you that a huge amount of €712 was raised for the school during Jo’s Café Coffee Morning. We would like to sincerely thank Joanne Murphy and her staff for their very hard work and wonderful treats that were enjoyed on the morning. We would also like to thank everyone who supported the fundraiser. You are all great advocates of our school and we are really appreciative of your continued support. Míle Buíochas. Tickets for our Musicals are now on sale from the office – 9.15am to 9.45am and 2.00pm to 2.30pm daily or your child can purchase during the school day. Tickets are €10 per adult & €5 for grandparents/students. (children 3 or under, who do not occupy a seat and can sit on their parents’ lap are free). ‘Prickly Hay’ will have a Matinee on Monday, 3rd December at 12 noon and another show at 6.30pm on the Monday night. Cinderella ‘Here We Go Again’ will be at 6.30pm on Tuesday, 4th and Wednesday 5th December. Coffee Morning at Jo’s Café – Wednesday, 21st November form 8am to 10.30am – Kids hot chocolate and freshly baked chocolate chip cookie – €3.50. Profits from the sales of all coffees, hot chocolate and pastries on the morning go directly to our school. Huge thank you to all at Jo’s for your continued support of our school. Christmas Musicals: Junior Musical, (Naionain-Rang a 2). ‘Prickly Hay!’ December 3rd Matinee at 12 noon and evening show at 6.30. Senior Musical (Rang a 3-6). ‘Cinderella – Here We Go Again’ (Summercove Style!) December 4th & 5th, at 6.30. Dress Rehearsals Sunday afternoon Dec 2nd. Christmas Cards: Children will receive their Christmas cards this week. If you wish to purchase the cards please use the link that will be sent to you. We wish to thank every family for their continued support of our fundraising efforts and 50% of the amount raised for the Christmas cards will be refunded to our school. School will be closed on Friday, 26th October as it will be utilised as a polling station. Mid Term closure is from Monday, 29th October to Friday, 2nd November. School will re-open at usual time on Monday, 5th November. Parent/Teacher Meetings – P/T meetings will be held on 23rd & 24th October 2018. You will receive a letter stating your date/time(s) for meetings in due course. Fáilte mhór romhaibh go léir thar nais! Gúim bliain lontach oraibh uile. On behalf of all the staff of S.N. 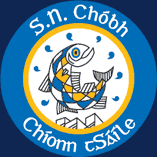 Chóbh I would lilke to extend a warm welcome to all our families for the new school year. We look forward to a happy, productive, healthy year for all while ensuring our children achieve their highest potential. School will close on 22nd June, 2018 for summer holidays. Everyone at S.N. Chóbh would like to wish you and your family and wonderful, happy and healthy summer. 8th June School Sports at Kinsale Rugby Club from 1.00 to 2.40pm weather permitting (fallback date 15th June) and our Summer BBQ at Hamlets. High Street Books and Laura’s School Wear will be selling school books and uniforms, in school on Thursday, 31st May from 1 to 3pm. Referendum: The school will be closed on Friday, 25th May for the Referendum. Easter Holidays: School will be closed from Monday, 26th March to Friday, 6th April 2018 incl. School will re-open at usual time on Monday, 9th April. Wishing you all a very happy Easter. Cáisc Shona Daoibh go léir. Easter Bonnets: All children are invited to create and wear their Easter Bonnets on Friday, 23rd March. A prize will be awarded to a winner of the best bonnet in each class. First Confession will be held tonight, 7th March in the Parish Church at 7pm. Children will need to be seated at 6.45pm sharp. St. Patrick’s Day Closure: School will close at normal time on Friday, 16th March and re-open as normal on Tuesday, 20th March 2018. Lá Fhéile Pádraig faoi mhaise daoibh! St. Patrick’s Day Parade and Maritime Parade: The Maritime Parade will start at 7.30pm on 16th March, 2018 on The Pier. The annual St. Patrick’s Day Parade will start at 1pm on 17th March, 2018 and the route is from The Glen to the World’s End. Grand Marshall – Kevin Gould RNLI. World Book Day: As school was closed on World Book Day, children are now invited to dress as their favourite book character on Friday next, 9th March. Adverse Weather: Update – In line with the current red weather alert issued today and the advice given by the Department of Education and Skills to all schools within that area, our school will remain closed tomorrow Thursday 1st and Friday 2nd March. All after school activities are also cancelled. Parents Association – Lenrec Recycling Fundraiser: Congratulations and thank you all for your support – we collected 650kg of recycling. Credit Union Quiz: The next round of the quiz will take place on Sunday, 4th March at 3pm in the Metropole Hotel. Good luck to Jenny Foley, Gemma Sadler, Jonathan Walsh and Seán Hynes who will represent our school. School Closure: Due to new procedures regarding Child Protection, all schools are obliged to attend training on same. Therefore, our school will close at 12 noon on Friday, 23rd February to allow staff to attend training. Lenrec Recycling: We are holding our Lenrec recycling fundraiser on 22/23 February. If you have any old clothes, shoes, towels, sheets, blankets and cloths please bring them to the school from 9am to 3pm on those dates. The school is paid by weight so the more the merrier. February Mid – Term Break – the school will close at usual time on Wednesday, 14th February and will re-open as normal on Monday, 19th February 2018. RDS Primary Science Fair: 6th Class will be showcasing their project ‘Are we truly listening when we are engaging with tablets and smart phones‘ at Limerick University on Saturday, 19th January 2018. Everyone at S.N. Chóbh would like to wish you and your families a very Merry Christmas and a happy, healthy and peaceful 2018. School will re-open at normal time on Monday, 8th January 2018. Naíonáin Bheaga, Naíonáín Mhóra, Rang a 1 and Rang a 2 will perform a Carol Service in St. Catherine’s Cultural Centre on December 12th and 14th at 11.30 am. Ideally, we would encourage families of the Infant classes to attend on the 12th and families of Rang a 1and Rang a 2 to attend on the 14th, as seating is limited to the downstairs area only . Christmas plays will be performed by Rang a 3 – Rang a 6. Rang 6 – Thursday December 14th at 10am. Each play will take place in the current Rang a Trí classroom. We look forward to seeing you on the day. Mid Term Break: School will close at normal time on Friday, 27th October for mid-term break and re-open as usual on Monday, 6th November 2017. Scary Bingo tickets are on sale in the office for the P.A. annual Scary Bingo event which is being held in The White Lady Hotel on Thursday, 26th October at 6.30pm. As this event sells out very quickly, we would advise you get your tickets early. Christmas card templates and details have been given to children. If you would like to order please return completed form by Friday, 27th October to class teacher. Note for your diary: Parent/Teacher Meetings will be held on 24th and 25th October, 2017. School Closure: Our school has been allocated a compulsory in-service day on the New Primary language Curriculum (see education.ie) on 18th October. The school will remain closed on that day. Summer Closure: School will close at 12 noon on Thursday, 29th June 2017 for summer holidays and will re-open on Wednesday, 30th August 2017. We would like to take this opportunity to wish our departing pupils great success for their future and also to wish everyone a very happy and healthy summer. We look forward to welcoming you all back in August. Save the date: School Sports Day at Kinsale Rugby pitch, Friday June 16th, 12.45-3pm. All welcome. Siblings at second level that can assist please forward name to class teachers. Coffee Morning: Denis and Niamh O ‘Connell are holding a Coffee morning in their home, 6 Fort View, this Thursday, 9am to 1pm, with entire proceeds going to Marymount & Neuro Dept. at CUH. They would be delighted if you could make it & please feel free to bring a friend. ‘2017/18 Junior Infants’ Meet and Greet date for your diary: Friday May 19th@ 2pm! Looking forward to welcoming you and your child to Summercove NS on that day! Save the Date! The Summercove N.S. Fashion Show returns! – March 10th , The White lady -not to be missed! Details to follow. Mid Term Break – School will close at normal time(s) on Friday, 17th February for mid term break and will re-open at 8.50am on Monday, 27th February 2017. December 10th – Junior Choir will perform at the County School of Music Christmas Awards. Coláiste Choilm 3pm. December 21st – Annual Christmas Raffle in school at 10am followed by a visit from Santa to all classes. December 22nd – School closes at 12 noon for Christmas holidays. TBD: Annual performance at MacDonald Hotel by our Senior Choir for Kinsale Hospital and Community Care lunch . Mid Term Break: School will close at normal time (1.40pm Jnr/Snr Infants & 2.40pm 1st to 6th class) on Friday, 28th October 2016 and will reopen on Monday, 7th November 2016. Reminder: School will be closed all day on Thursday, 27th October 2016 as teachers will be attending a compulsory in-service day on the New Primary Language Curriculum. Parent/Teacher Meetings will take place on 25th & 26th October 2016. Letters of meeting times will be sent out in due course. School will re-open at 9am on 31st August, 2016. We look forward to welcoming our new students and parents and to welcoming back all our current pupils and parents. End of 2015/16 School Year. Non Uniform Day: We will have a non uniform day on our ‘Fun Day’ Fri 17th June to raise funds for the renovation of St. Catherine’s Church Ringcurran. A suggested donation of €2 per child would be greatly appreciated to support this beautiful Church which is part of our community. Thank you from Parents’ Association. Sports/Fun Day: Save the Date – 17th June 2016. 1-3pm @ rugby pitch. Jnr/Snr Infants will go by bus & Rang 1-6 will walk to the pitch. Please collect children at 3pm. June Bank Holiday – school will be closed on Friday, 3rd and Monday, 5th June 2016. First Holy Communion will be held on Saturday, 7th May in the Parish Church. We look forward to hosting the First Communicants and their family back at school for refreshments following the Mass from 11am to 1.30pm. As is tradition, 1st Class parents will host the families on the day and we would be very grateful if you could help out with making sandwiches and/or baking for the occasion. If you can assist in any way please can you contact Maggie at 087 – 3333648. Reminder: School will close at 2.40pm on Thursday, 28th April and will re-open at usual time on Tuesday, 3rd May. St. Patrick’s Day/Easter Holidays: We will close at 12 noon on Wednesday, 16th March and will re-open at usual time on Monday, 4th April 2016. On behalf of everyone in S.N. Chóbh we wish you a happy Easter. February Mid Term: The school will be closed for mid-term on Thursday and Friday, 18/19th February.